Ideal for contractors who have completed their 17th edition 3rd Amendment 2015 qualification. This course will be running across various locations and dates. Choose from one of the 256 events with open places below. Ideal for contractors who have completed their 17th edition 3rd Amendement 2015 qualification. 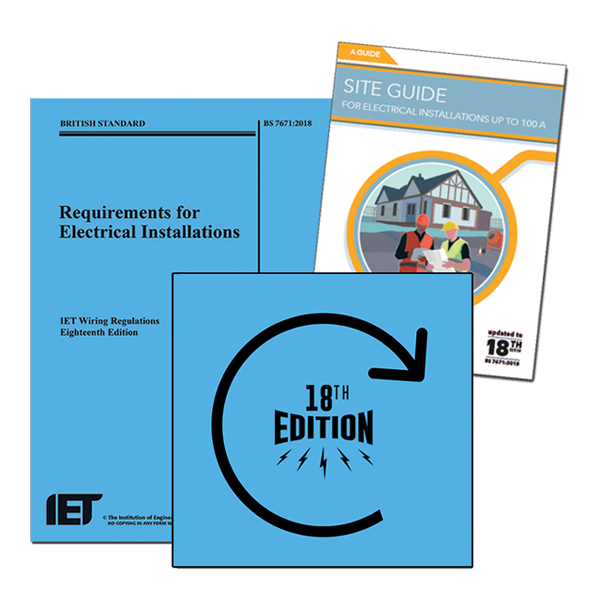 This 1-day course will give candidates an overview of the key changes in 18th Edition Wiring Regulations. Successful candidates will hold the full qualification, be able to demonstrate a better understanding of the 18th Edition of BS7671, and should be able to apply this knowledge within their role. At the end of this course there will be a 2 hour examination. Please ensure you bring photographic ID and a copy of BS 7671:2018 with you. Failure to do so will prevent you from sitting this exam.